The PS4 Pro is getting a price cut in Japan. The PS4 Pro is getting a price cut in Japan. Originally priced at 44,980 yen ($394), the PS4 Pro will be 39,980 yen ($351) from October 12. 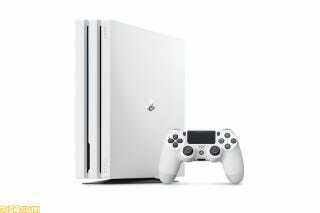 The Glacier White PS4 Pro will also be available as a standard color as it is in North America.